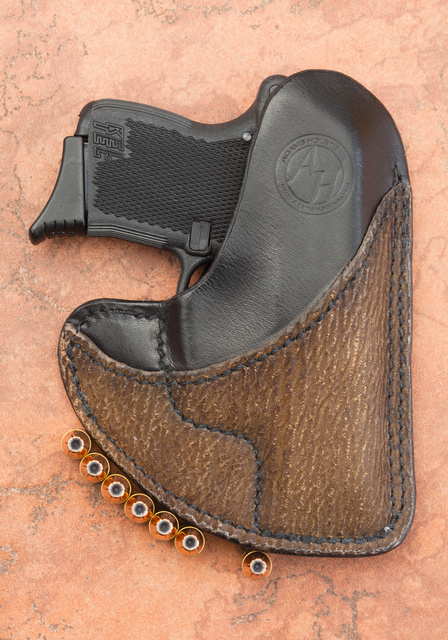 Adams’ pocket holster looks pretty good for having been worn for a year! I will post more P3AT holster photos this weekend. 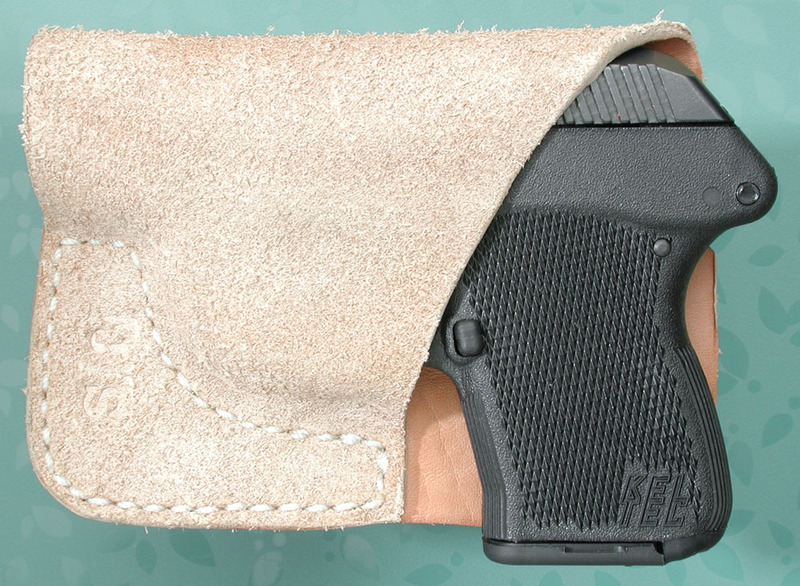 I am beginning to suspect that holsters and women’s shoes have something in common…they multiply when left unattended. 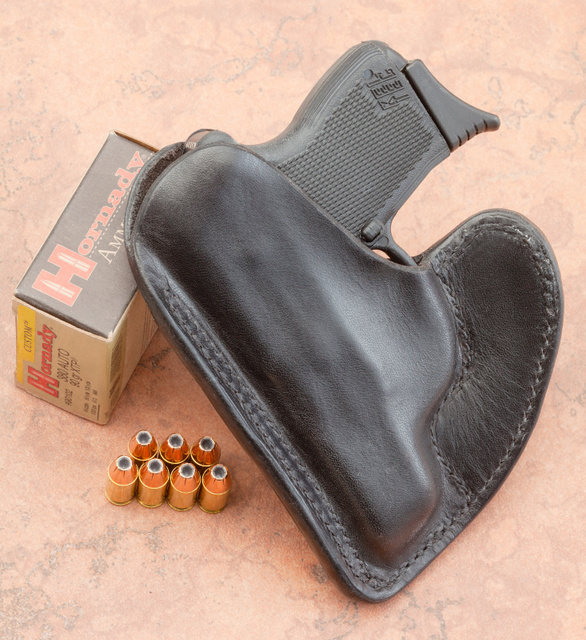 This entry was posted in ammunition, hoster, weapon and tagged 380ACP, holster, keltec, leather, T3AT. Bookmark the permalink. Is that how you carry your P3AT? Pocket rig front? When I carry a P32, I use JS Holster pocket front. This pocket rig isn’t mine. Cool. I think I’m going to get a pair of P32s, one for me, one for my wife. 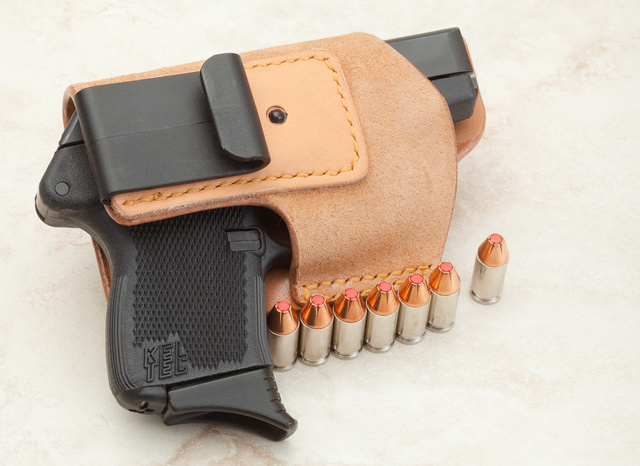 I >think< I'm going to try back-pocket carry. I've never carried anything this small, my other carry pistol is a Kimber Ultra-Carry. Thoughts? I don’t like sitting on a pistol. It’s not comfortable. Also, it’s harder to keep concealed. 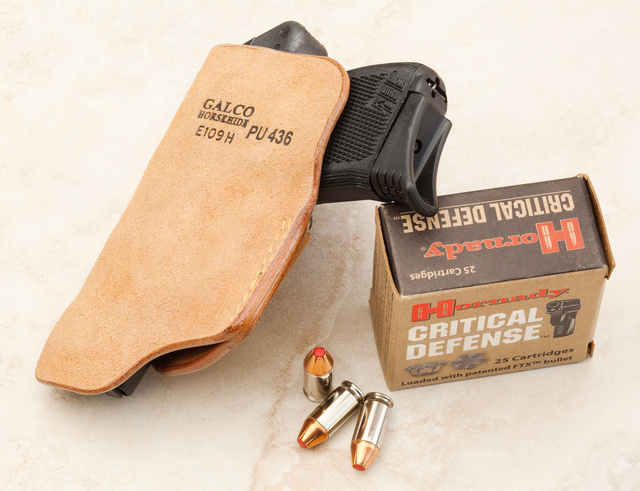 Love the Galco suede IWB holsters for CCW. I’ve got one that I share between my G26 & G19 (my “old” carry guns). When I got my current carry gun (XDm 3.8 9mm) I got the same kind of holster for it. So comfy.